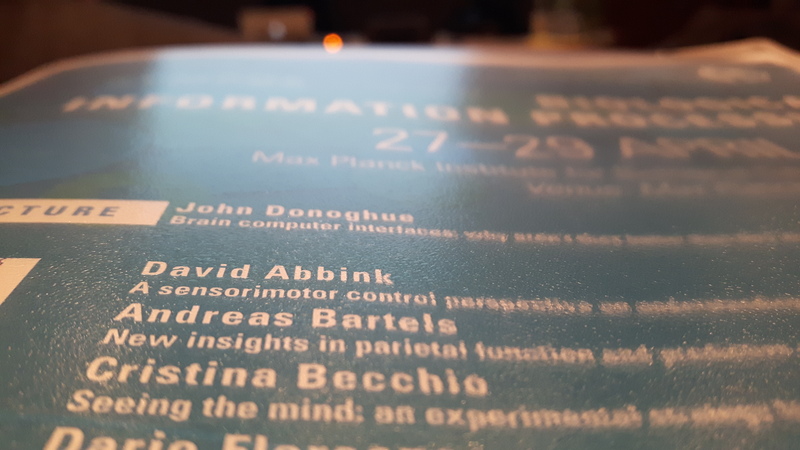 David was invited for a talk at the Max Planck Institute in Tuebingen at a symposium on Biological Information Processing. The Max Planck Society invited 15 leading scientists for three days of presentations and discussions, with the aim of discussion possible future directions of the institute. The keynote lecture was on Brain Computer Interfaces by John Donoghue, and David shared the stage with great speakers like Stephen Scott, Jose Cermena and Dario Floriano amongst others.